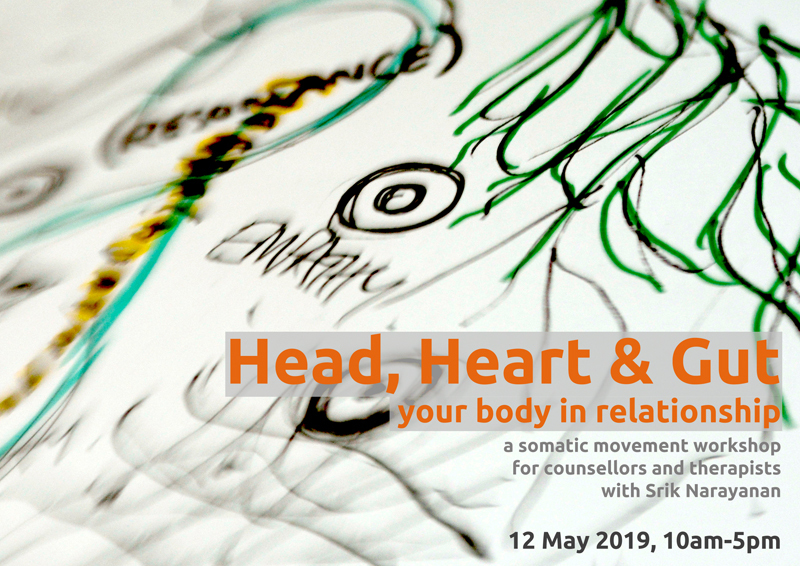 In this workshop we will explore the fundamentals of a somatic approach to relationship. Cultivating a deeper ongoing awareness of our moving bodies can support our work with clients by offering us many more ways of relating, by anchoring our intuition about the relationship in bodily experience, and by providing the resources we need to meet others where they are. 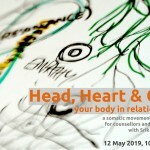 We will develop our skills at bringing our bodies into physical and energetic connection and explore some of the pathways offered by relational movement and bodywork in deepening the dance of relationship. With a base in experiential anatomy and physiology, and embodied developmental movement patterns, the day will be a deep dive into working with embodiment in all its richness and wildness. We will also look at how our embodiment can provide support from within and show us ways to be more specific in our self-care. The workshop is intended for counsellors, psychotherapists and others working one-to-one with clients in any modality. Our work will be experiential, including invitations to move, to touch and to share our process with others, verbally and non-verbally. No experience of movement or bodywork is required, just a curiosity about exploring through embodiment. Please wear layers of loose, comfortable clothing, suitable for movement, including something warm. Please leave shoes outside of the studio. To receive occasional updates about classes, workshops, professional events and other offerings, please subscribe to Srik’s newsletter here. Times: 10.00 am – 5.00 pm.